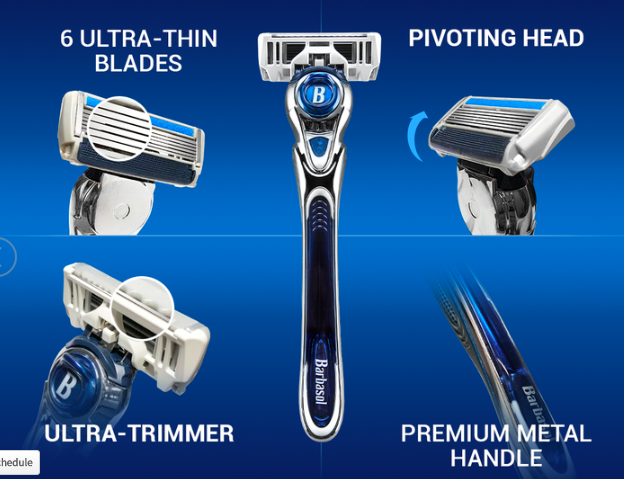 Head to Barbasol and save HUGE on razors. Currently the 3-Pack of 4 count razor refills are on sale for $24.99 (Regularly $29.99). Sign up for emails and get a 20% coupon for your first purchase sent to your email and pay just $20 or $6.66 a package! For price comparison, on Amazon the same exact product cost $22.99. Need the razor too? Consider signing up for the Barbasol Razor Shave Club for just $9.99! Get started with (1) Free Barbasol Ultra 6 Plus handle, (4) Barbasol Ultra 6 Plus blade cartridge refills and (1) Free Razor Tray for just $9.99. Enjoy your next Barbasol Ultra 6 Plus blade cartridge refill shipment, auto-delivered to your door, at a pace that works for you for $9.99 per shipment. Plus shipping is FREE. Yup – your Barbasol Shave Club Starter Kit and each blade refill, every time.